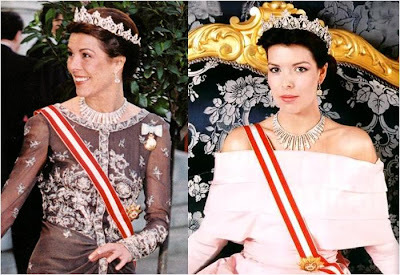 Today's tiara shares the same story as the Cartier Pearl Drop Tiara: it was once owned by Princess Charlotte of Monaco, and has since been seen only on her granddaughter Princess Caroline (perhaps...continue on). 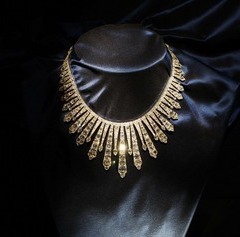 Made by Cartier, this piece is comprised of diamonds on a gold and silver frame. It was said to be a gift from Charlotte's father, Prince Louis II. 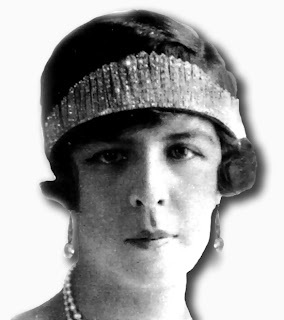 It shares its fringe design with the multitudes of other fringe tiaras that were produced in the good old tiara heydays. Like many of its fringe cousins, it can also be worn as a necklace by removing it from its frame. 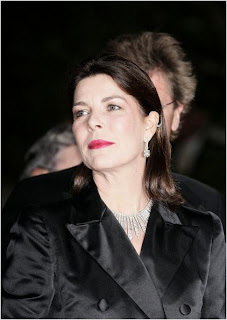 The same questions of possession go here as, again, the Cartier Pearl Drop. But I hope we see it on Charlene, and not just because I hope we see all of these tiaras again.